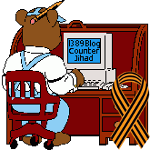 Rush Limbaugh explains what an ‘independent’ is — 1389 Blog - Counterjihad! “Independent” voters are anything but undecided. They are afraid to acknowledge what they truly believe. Instead, they are quite self-righteous about their supposed open-mindedness. Focusing a political campaign on winning over the “independent voter” is a fool’s errand.